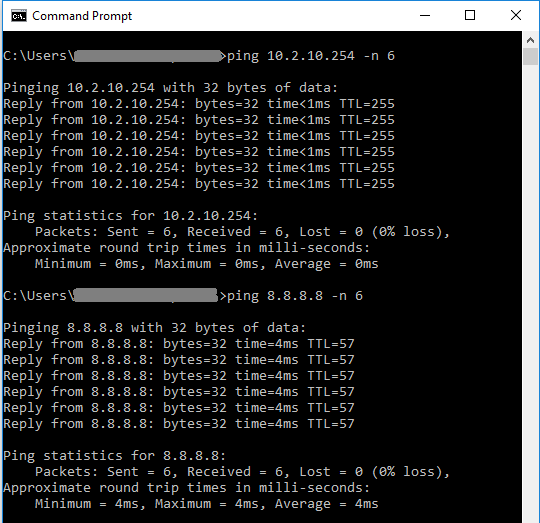 Ethernet is the fastest, most stable and most secure method of connecting to the internet, but sometimes the connection can be broken. This can be down to a temporary problem on your device, or occasionally an issue with the port in your room. In this article are some steps you can follow on your device to try and fix a loss of service, and details on how to contact us should it not be resolved. Press and hold the Windows key ( or ) and press the letter "R" > In the box, type "ncpa.cpl" and press Enter > In this new window, right click the Ethernet/Wired network connection and select Properties > Select Configure, then go to the Driver tab > Click Update Driver > Select Browse my computer for driver software > Select Let me pick from a list of device drivers on my computer > There will be compatible drivers shown here. There may be a few. If there are any with Microsoft in the name, try to avoid them. If they have dates on them, select the latest, otherwise select any > Click Next > Once it’s installed, restart the computer. Click the Apple icon and select System Preferences > Select Network > Select Ethernet, then click the '-' minus symbol. This will immediately remove the Ethernet option from the list > Click the '+' plus button, and select Ethernet from the Interface drop-down menu. The Service Name will be default > Click Create, then Apply in the bottom right > If connected to a network, the adapter should then pick up an IP address. If it does not, go back to System Preferences > Select Network > On the left, Select Ethernet, then on the right click Advanced > Go to the TCP/IP tab > Click 'Renew DHCP Lease', then retest your connection. Press and hold the Windows key ( or ) and press the letter "R" > In the box, type "ncpa.cpl" and press Enter > In this new window, right click the Ethernet/Wired network connection and select Properties > Click and highlight 'Internet Protocol Version 4 (TCP/IPv4)' from the list > Click Properties > Ensure the only filled circles in this window are 'Obtain an IP address automatically' and 'Obtain DNS server address automatically'. Click the Apple icon and select System Preferences > Select Network > Select Ethernet on the left, then click Advanced on the right > Go to the TCP/IP tab > Next to Configure IPv4, make sure it is set to 'Using DHCP' from the drop-down menu. First, we need to you capture some data from a laptop or desktop when the connection is not working. Press and hold the Windows key ( or ) and press the letter "R" > In the box, type "ncpa.cpl" and press Enter > In this new window, right click the Ethernet/Wired network connection and select Status > Select Details > Copy the IPv4 Default Gateway. Once it's finished, do the same again, but this time write 8.8.8.8 instead of the IPv4 Default Gateway. Take a screenshot of all this information. Press and hold the Windows key ( or ) and press the letter "R" > In the box, type "cmd" and press Ctrl+Shift+Enter at the same time > A black window will appear. You may receive a pop up notification asking you to allow the program to make changes. As we are not actually making any changes, only obtaining information, click Yes. With Command Prompt open, copy the below commands one at a time (by highlighting, right-clicking and selecting Copy), then change to the Command Prompt Window and press Ctrl+V to paste them. netsh wlan show interfaces > "c:\interfaces.txt"
For Windows 10: Right click the Start menu> Open File Explorer > Find This PC on the left-hand side > Click Windows (C: ). For Windows 8: From the Desktop view,Right click the Start menu> Open File Explorer> Find This PC on the left-hand side > Click Windows (C: ). For Windows 7/Vista: Open My computer > Find and doubleclick Local Desk (C:) on the left. Find two text files (interfaces.txt and ipdetails.txt) here. Click the Apple icon (top left) > Select System Preferences > Select Network > Select Ethernet on the left, then click Advanced on the right. > Go to the TCP/IP tab > Copy the Router Address. Click the Apple icon (top left) > Select System Preferences > Select Network > Select Ethernet on the left and then click Advanced on the right. On the Hardware tab, please give us the MAC Address. On the TCP/IP tab, please give us the IPv4 Address and the Router Address. On the DNS tab, please give us the DNS addresses. Please Copy all this information and Paste it into a TextEdit document, then save it with the title DeviceDetails.txt. Has the connection ever worked without issue? If so, when did this issue start? Have you tried another Ethernet cable? Are you using any personal networking equipment e.g. a router or switch/splitter? Does your device work without issue on the port in another room? What happens when you're disconnected? Does your computer show any warnings or messages over the network icon?